Artfully Combined Scents Sent Straight from the Heart of Nature. 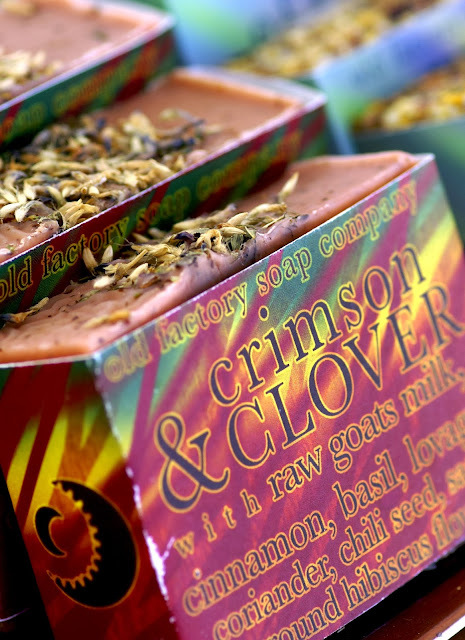 All Natural Soaps as Beautiful to See as to Smell as to Imagine. Clove, Goats Milk, Vanilla, Organic Oils and More. The minute you walk near the artisan bath products of Old Factory Soaps, you start to smell the unique combinations they've put together. 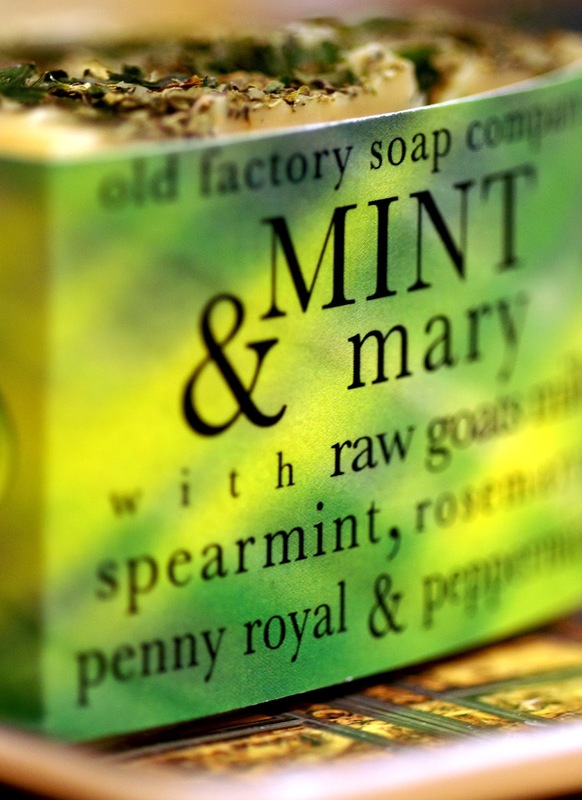 A few steps closer, and you’ll start to believe what Jonathan and Madeline mean when they say they are trying to “revive the French tradition of storytelling through scent.” My personal favorite thus far is "Mint & Mary," Rosemary that is, and not just because the bar is green. Some more strongly scented than others, each bar is colorful and beautifully topped with a sprinkle of the natural ingredients that bring its aroma to life. 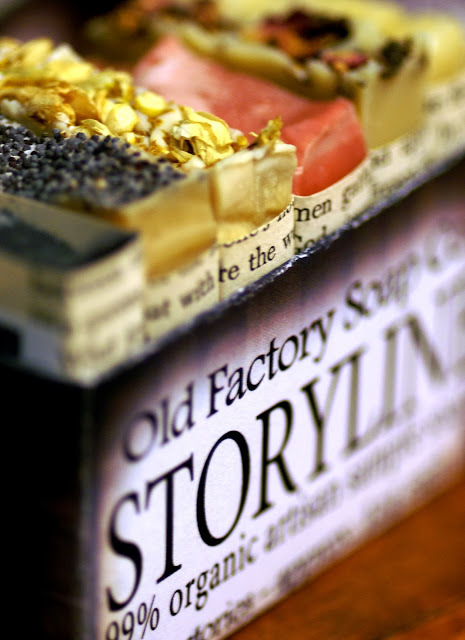 Another aspect of what makes Old Factory Soaps special are the ingredients. They are all made with natural, organic and locally grown ingredients. It's not hard to find your favorite bar. However, for anyone undecided, they also sell sample packs that are cool combos of bar slices, like a little slices of scent heaven. I also love how the names and labels contribute to the overall Branding, with clever plays on word and smell. Even the company moniker is a wonderfully fun pun: Old Factory (i.e. olfactory). These artists are a clear illustration of crafters talented enough to turn everyday goods like soap into elevated and imaginative art!